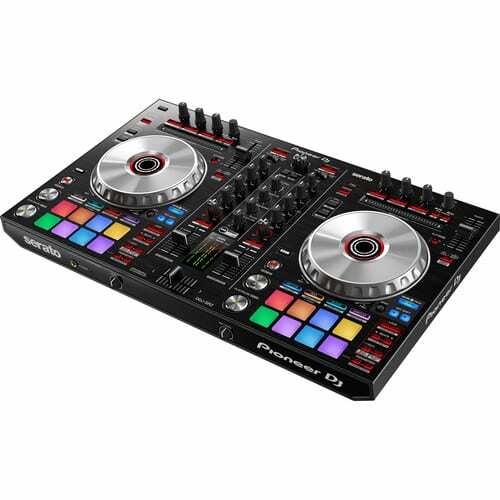 Building upon the success of the top-flight DDJ-SR, the Pioneer DDJ-SR2 2-Channel Controller is designed to provide hands-on control of Serato DJ software. 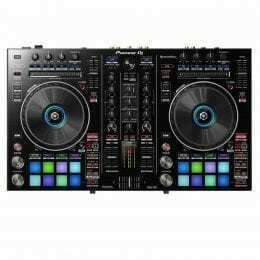 It features two low-latency jog wheels, as well as 16 multi-colored performance pads (eight per channel) that provide touch access to commonly used effects, and functions such as hot cue, roll, slicer, and sampler. 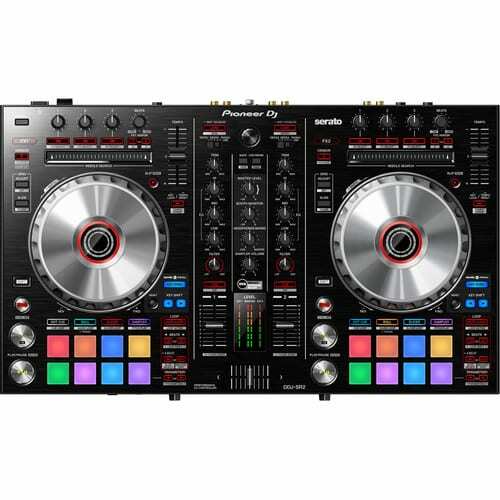 The controller includes Serato DJ, and Serato Pitch ‘n Time with dedicated controls for key-related functions including Key Shift, Key Sync, and Key Reset for an unprecedented amount of control over the keys without changing the tempo. 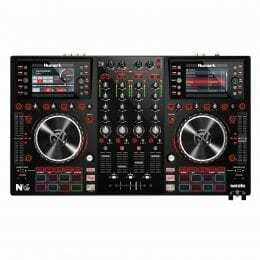 The controller has a 2-channel mixer and features built-in deck select buttons, which allow you to integrate 4 decks into the mixer for added versatility while performing. 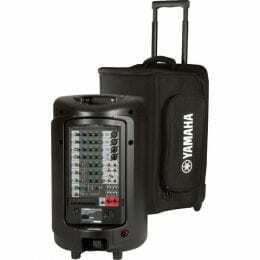 The unit has an integrated USB sound card as well as a 1/4″ microphone input for using analog sources. 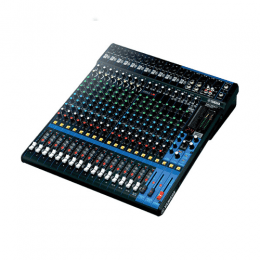 The mixer will function standalone without a connected computer. 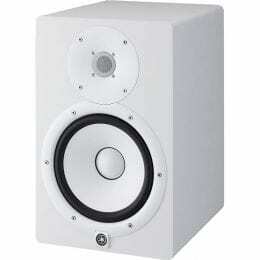 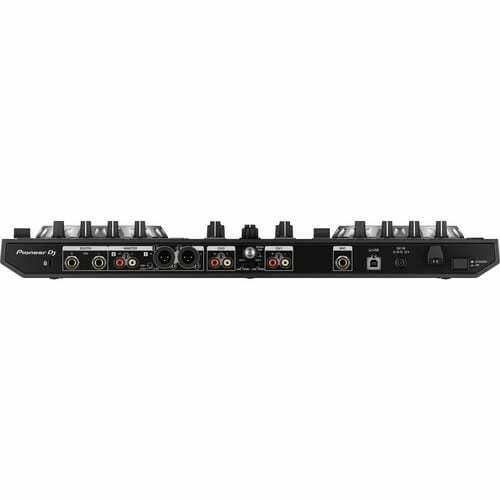 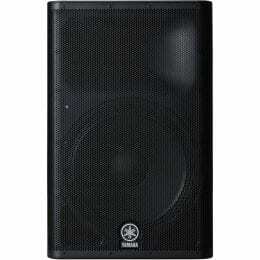 The rear panel offers phono/line RCA inputs, XLR & RCA master outputs, and 1/4″ booth outputs. 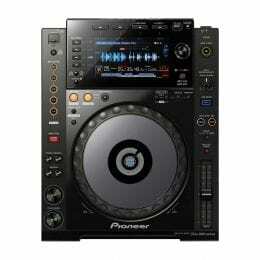 The Pioneer DDJ-SR2 ships a power cord, AC adapter, and a USB cable. 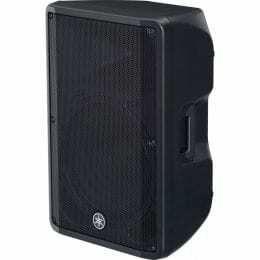 Box Dimensions (LxWxH) 25.0 x 16.9 x 5.9"